It’s not very easy to seek out our own car in a large or multistory car park, and those metered spots don’t remind us when the parking time is about to expire so AwareCar was born to solve the problems. 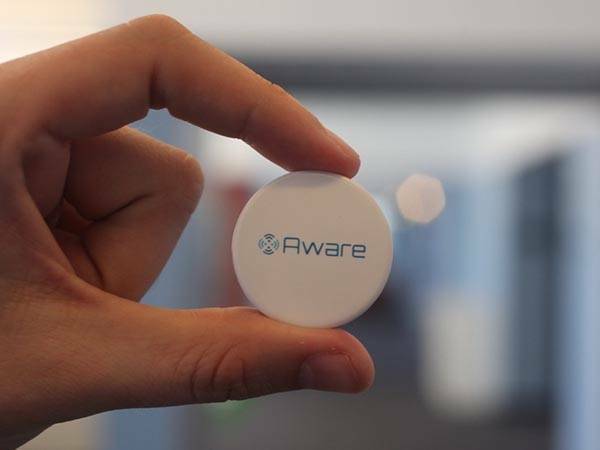 The AwareCar is a functional Bluetooth-enabled car tracker that utilized context awareness to make your car smarter. The tracker measures 36mm diameter by 6mm thickness so you can easily toss the ultra compact tracking device into your glove box. 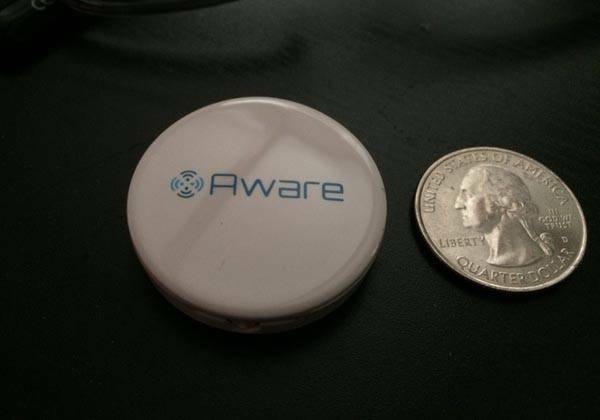 Using built-in Bluetooth technology, the AwareCar wireless communicates with your smartphone. Whenever you leave your car, the Bluetooth tracker can automatically record the precise parking floor and spot in order that you can effortlessly find out your car when you’re back. Moreover, with the help of integration of known parking meter locations and city maps, the AwareCar is capable of knowing when you park in a metered spot, and reminding you to enter a time. Before the time expires, the tracking device will notify you to drive your car away from the metered parking spot. Want more features? By unlocking its stretch goals, the AwareCar will bring us more functions including IFTTT integration, overspeed alert, gas mileage efficiency and fuel warning based on routes. The AwareCar has been available for preorder on Kickstarter. You can pledge $9 to own the Bluetooth car tracker. It will be shipped in December this year. BTW, if you want to know your car’s status, you may like to check Kiwi 3 OBDII car tracker and more cool stuff by following tags.